As an experienced Buffalo DWI Attorney I am often asked how one should get their car back following a DWI. Are you having trouble getting your car back following a DWI? 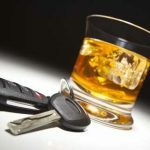 If so, contact the experienced Buffalo DWI Attorney Arthur Pressman.